Spring has officially hit and it has been wonderful! This weekend I finally got brave and swapped out our winter outerwear for our spring outerwear. It feels so good to welcome the new season. I have a few simple tips to help you store away your winter items so that they are ready to go for the next winter season. Wash Everything This isn't my favourite thing to do but it really makes life easier when you have to get out your winter clothes. I throw items into the washing machine so that they are clean when I put them into storage. I wipe down our boots, skates and helmets that can't go in the washing machine. Repair items that need it. I like to do my repairs before I put everything away. Sew on buttons, fix zippers, or find someone who can do those things for you. 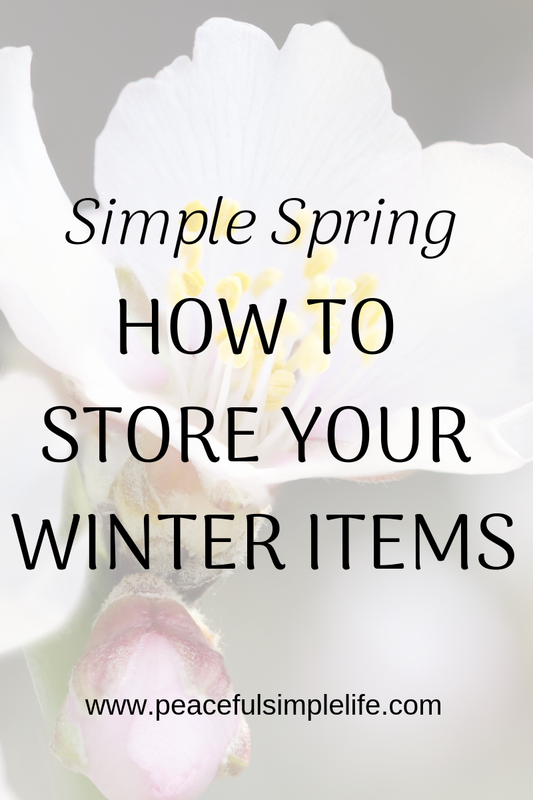 It will make life easier to have those items ready to go the next time you need them. Go through items and decide what to keep. I have kids so they outgrow their clothes rather quickly. I set aside any items that we are saving and then create a separate give away/donation pile. I also go through my own items and decide what to keep or give away. Store items in an organized fashion. We are fortunate to have a closet downstairs that houses all of our off season items. If you have to use tubs or boxes make sure you label them so that they are easy to find when you need them again.